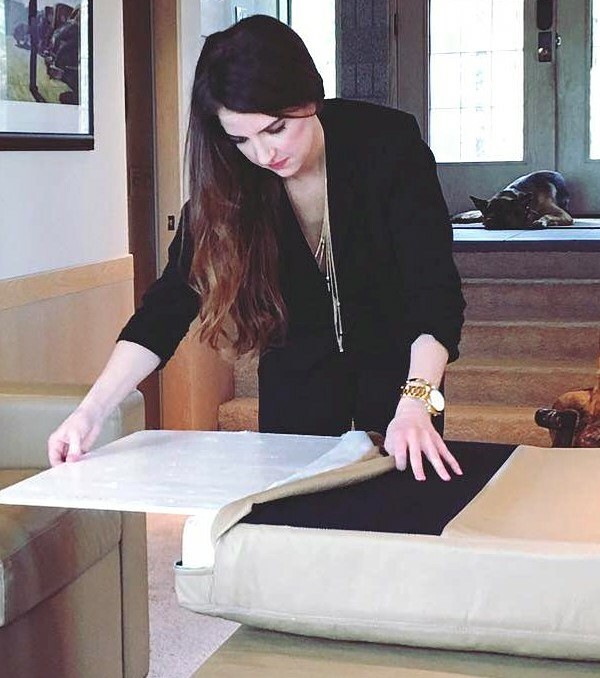 CouchBunker offers its patent pending furniture line in a wide range of styles, leather and fabric coverings. 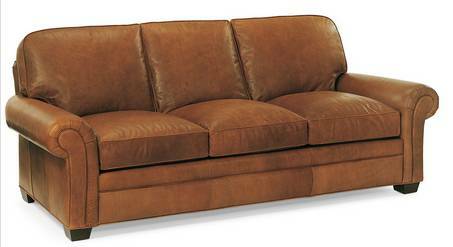 Charles Alan Inc., a Ft. Worth contract furniture manufacturer, produces the couches, to order. A matching ottoman weighs in at 450 lbs. 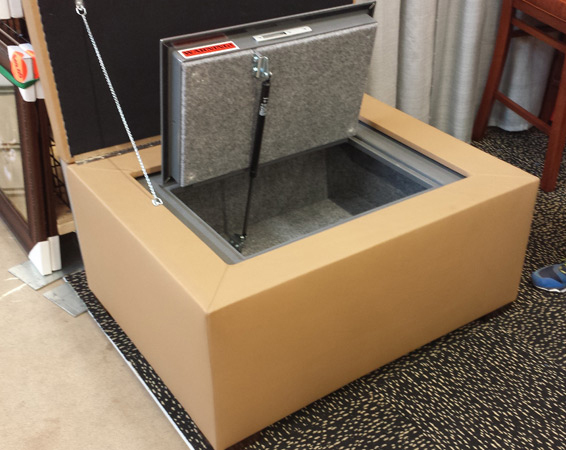 A fire-rated gun safe hidden inside a custom built couch features bullet proof cushions with carry straps, so they can be used on the fly as a shield. 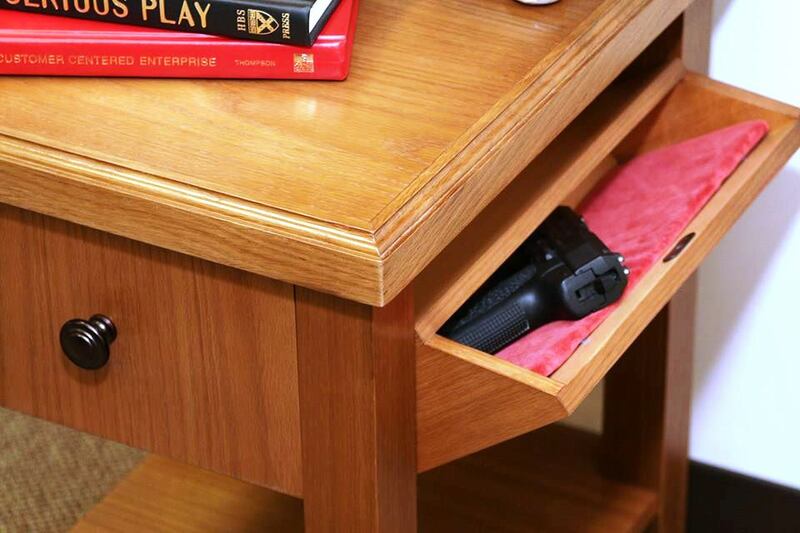 from Creative Designs by Logan, with easy-access concealed compartments for guns and valuables. 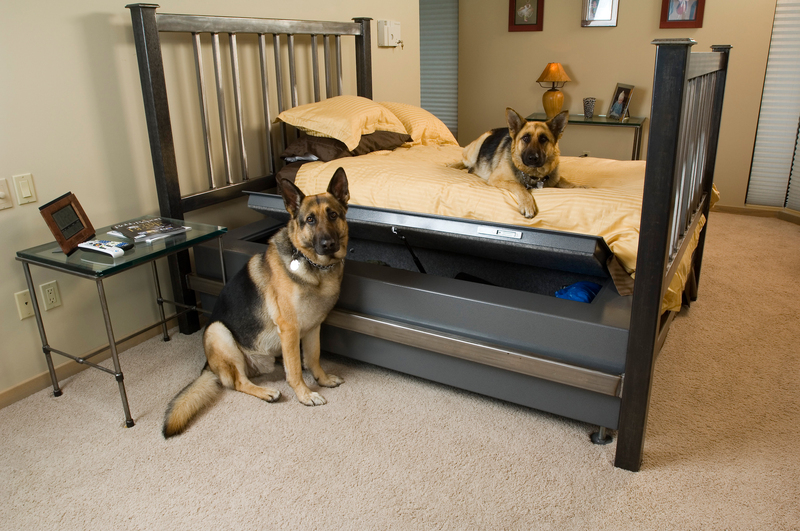 Also available is a queen sized bed, weighing 650 pounds, with half the box spring devoted to a safe measuring 96″x 39″ and 14″ deep. 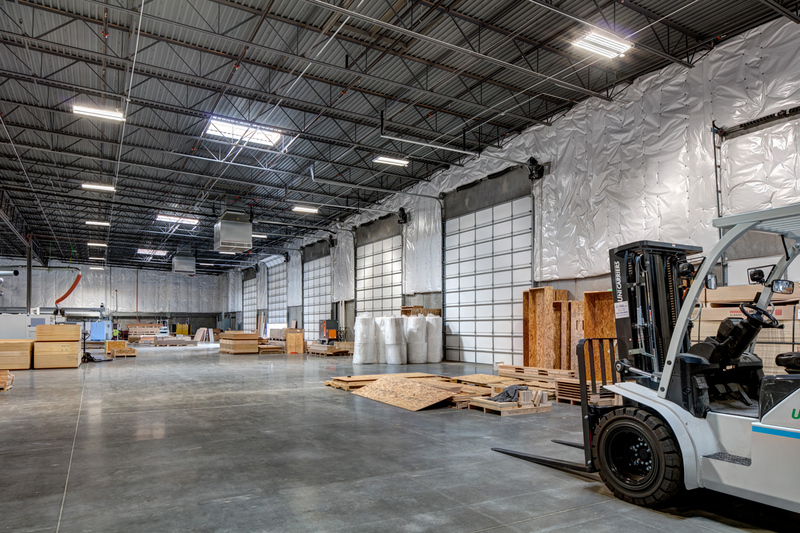 It is lined with a two-hour fire wall. 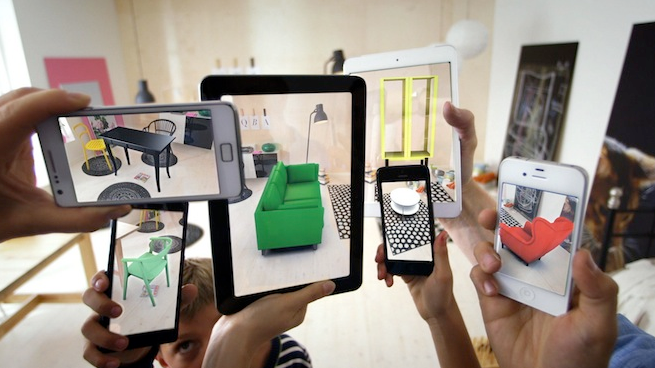 All are manufactured by Heracles Corporation, owner of the CouchBunker system. Optional bullet resistant cushions for the couches serve as portable, personal shields, says the company, and will stop a 44 Magnum at point blank range. 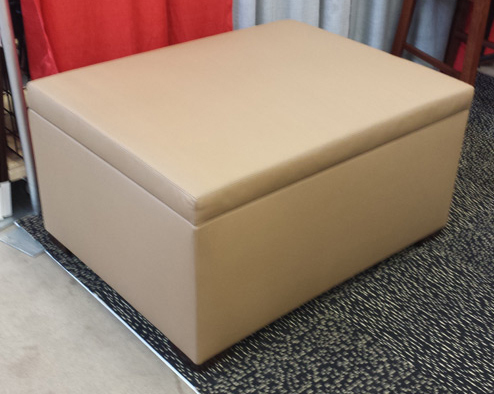 The ottoman which can match the sofa, stores handguns and other valuables. The safe and ottoman unit together weigh about 450 pounds. It is also available in a light weight line, in various configurations, for boats and RV’s. 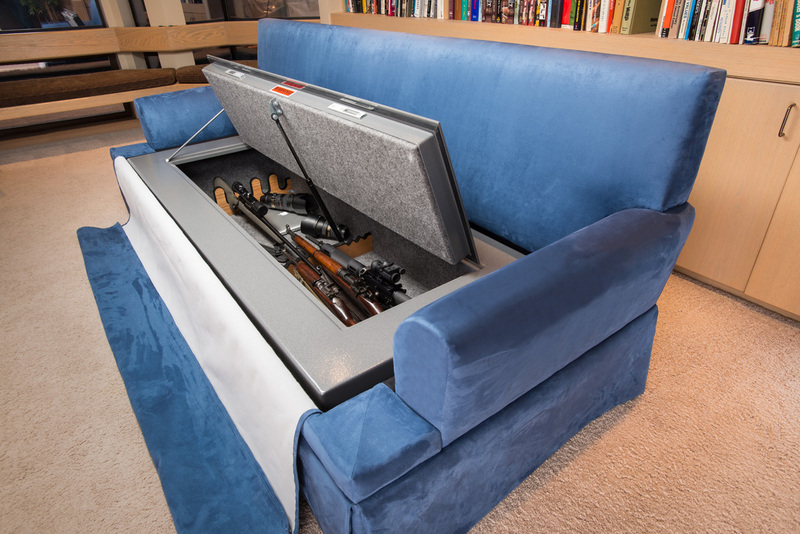 Couch Bunkers can be outfitted with ballistic seat cushions. The optional bullet resistant cushions, serving as portable, personal shields, will stop a 44 Magnum at point blank range. 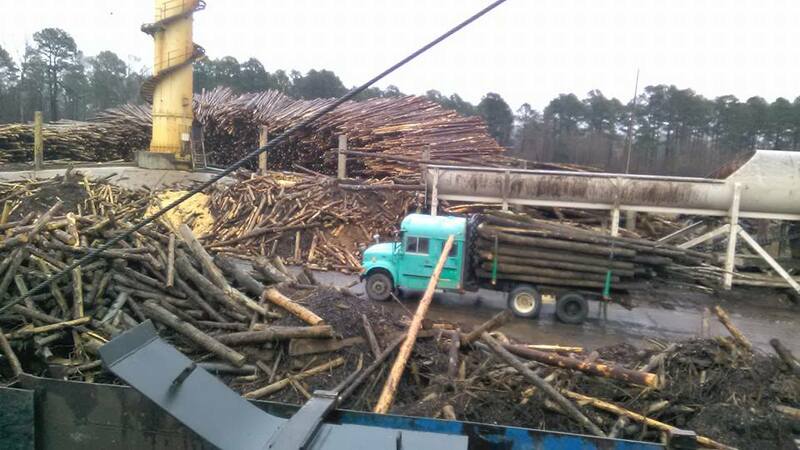 After you select your material color, delivery time is approximately six to eight weeks.